Located minutes from the Steilacoom Waterfront, this gorgeous New Home by Soundbuilt Homes is a must see! This 2978 Sq Ft 4 bed 2.5 bath home is located on a fantastic fully landscaped & irrigated corner lot!!! French Doors lead you into the large master suite with Tile bathroom floors and freestanding tub. Fantastic finishes inc. Hardwood floors, a Gourmet kitchen w/ 3cm Quartz counters, Whirlpool Gold appliances & a HUGE 66" Fridge, Elegant white millwork and covered patio. Too much to list!!! Lot Size: 0.17 Acres / 7222 Sq. Ft. Directions:From Union Ave/Dupont-Steilacoom Rd, Turn West on Gove St. Home is located on the SW corner of 3rd and Gove. SchoolsClick map icons below to view information for schools near 216 Gove St Steilacoom, WA 98388. Steilacoom Real Estate at 216 Gove St Steilacoom, WA 98388. Description: The real estate listing at 216 Gove St Steilacoom, WA 98388 with the MLS# 1417363 has been on the Steilacoom market for 50 days. 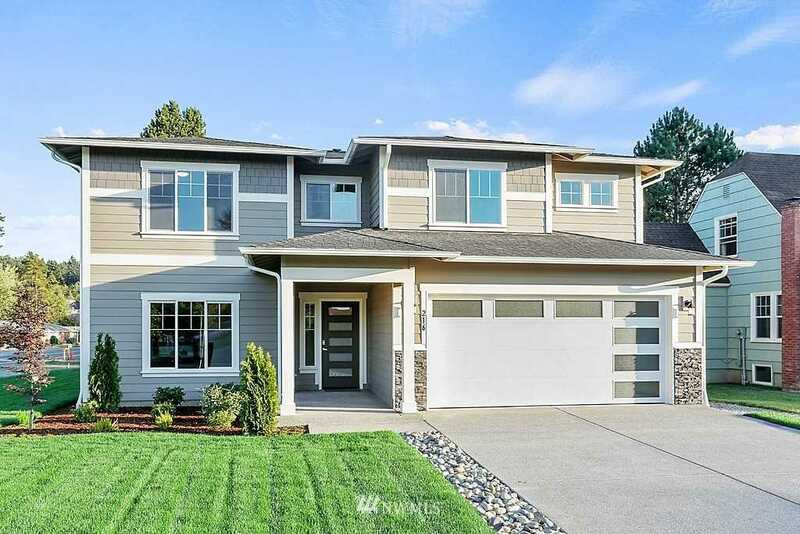 This property located in the Steilacoom subdivision is currently listed for $629,950. You are currently viewing the property details of the NWMLS listing at 216 Gove St Steilacoom, WA 98388, which features 4 bedrooms and 3 bathrooms, and has approximately 2978 sq.ft. of living area.